Regular readers to my blog will know Jack began to last year. He has now become really confident with his walking and often looks as if he is running because he walks so quickly. We decided now was the time to get him measured for his first pair of shoes. Where other to go but Clarks? They are well known for there shoes, and their fitting skills. The lady within the store was lovely and interacted with Jack a lot putting him at ease, not that he needed it as he is a show off! Within Clarks they measure both the length and width to give a child the perfect fit to help their growing feet. Jack say upon my lap whilst the lady placed his feet within the measure. 3.5G! As Jack had quite small feet for walking there was only a small choice available to us as most babies are still crawling at this size. However; we were given a choice of three which they had in stock. 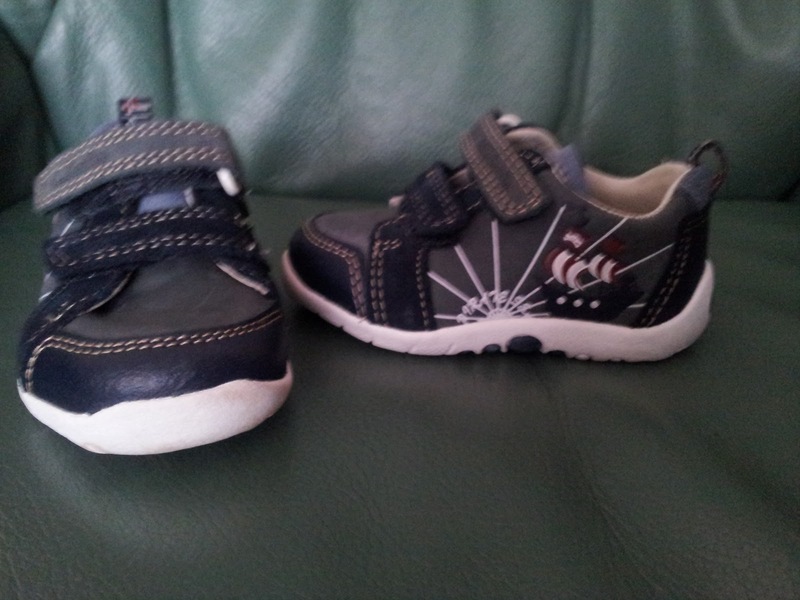 After choosing the pair we would go for, the lady placed them onto Jack's feet and checked the size. She then got another member of staff to also check the fitting to ensure she had done it correctly. I believe this is standard procedure as all the staff in the store were. Jack then proceded to try them on around the store, this was the moment Jack decided to be shy and not walk alone. 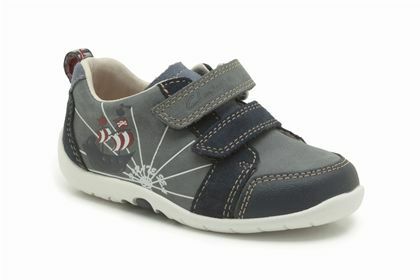 However, soon he was back to his normal self toddling all around the store showing off his new shoes. The lady explained it may be strange for Jack to adjust too as they will be a little heavy on his feet from not wearing shoes before. 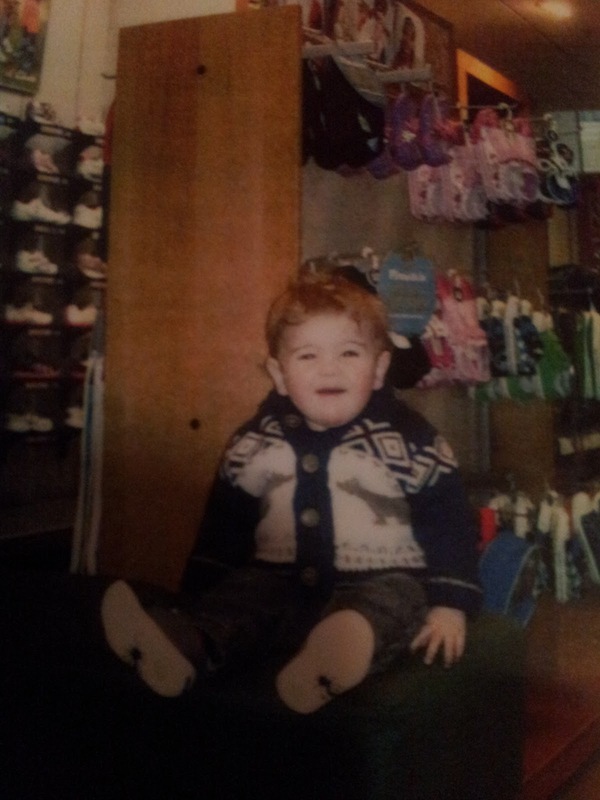 Clark's then take a photo of your child in their first shoes as they feel it is an important milestone. You also get given a chart to track your child's feet growth.